Since the end of Pesach, the whole city has been snowing Israeli flags. Every morning, more and more of them turned up, sticking out of car windows, strewn across balconies, suspended from buildings and streetlights, pocketing rearview mirrors—flags everywhere a flag could fit, all in preparation for the “Israeli High Holidays,” Yom HaShoa last week, and now, the main events, Yom HaZikaron and Yom HaAtzma’ut. Everyone says there’s nothing in the world like the emotional roller coaster of Yom HaZikaron, Memorial Day, and Yom HaAtzma’ut, Independence Day, nowhere else does an entire country go from such a deep depression to such a euphoric high in one day. There’s just nothing like it, they say, you just have to experience it. So Tuesday night, I met group of friends to join several thousand others for a government Yom HaZikaron commemoration ceremony at the Kotel. Just as it began, the first siren went off. Like on Yom HaShoa, during the siren, everyone in the country stops whatever they are doing, stops, stands and remembers. Unlike on Yom HaShoa, Yom HaZikaron has two sirens: one in the middle of the day to interrupt people during their routines, and this one, at night, while most of the country is already stopped and remembering at a local ceremony. After the siren went off, someone barked orders to the Army, Navy, and Air-Force present to stand at attention and salute, then someone lit the huge Yizkor candle underneath the flagpole erected special for the occasion. Then new orders were barked and everyone stood at ease. Speakers got up one after the other: President Shimon Peres, Defense Minister Ehud Barak, Chief IDF Rabbi, Brig. Gen. Rafi Peretz and probably other people, all giving Hebrew speeches I couldn’t understand a word of. Not that was I trying to. Instead, I just couldn’t take my eyes off the soldiers, specifically the tri-colored block of them standing tall and proud throughout the ceremony, Air-Force in light blue, Army in green, Navy in white against the flag-draped bridge to the Temple Mount, with the Wall in the background and asking myself, “How is this possible?” The closest I got to an answer was the singing of HaTikva at the end. Once the song ended, we squeezed and pushed our way out of the plaza into the streets. I had missed dinner and was hungry, but everything was closed, and downtown was deserted apart from the occasional Yizkor candles in store windows. The next morning, after normal morning classes, we had a guest speaker, Pardes alum Naphtali Moses, whose oldest son, Avraham David, was murdered in the attack on the Mercaz HaRav yeshiva in March 2008. In the wake of the tragedy, Mr. Moses wrote a book called Mourning Under Glass to describe his experiences as a mourner in a famous, public tragedy. 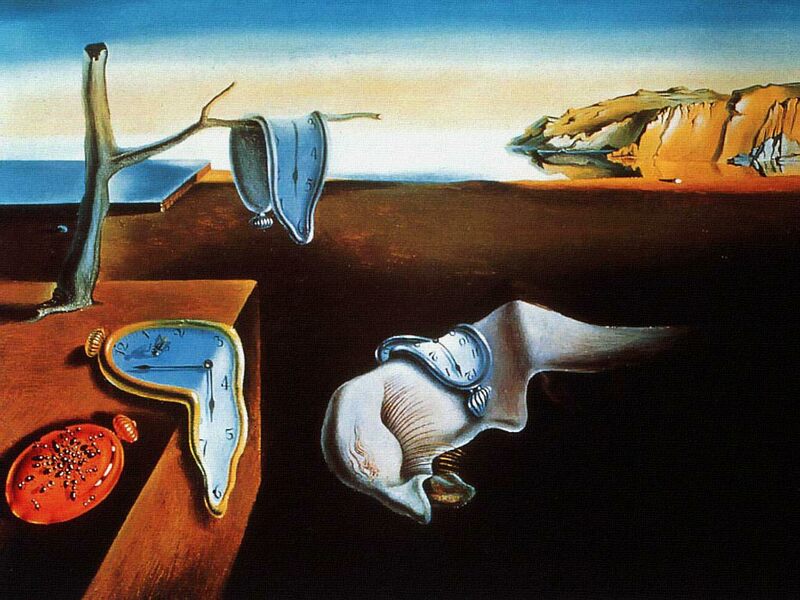 In his speech, as in his book, he spoke powerfully about the persistence of memory, both the Dali painting and the concept itself—how memories are formed, what they leave, how they can be and are used and abused. Every word he spoke sounded like it would be his last before he broke down crying, but, somehow he managed to pull through. After about 50 minutes of speaking, he stopped speaking for a moment then sat down. After closing his eyes and inhaling, he announced he was ready for questions. I asked if the transition straight from Yom HaZikaron to Yom HaAtzma’ut every year is hard. He said he still likes the taste of cold beer and hot meat as much as the next guy, so for him it’s not, but his wife can no longer bring herself to celebrate either day. Maybe a little over an hour later, we left for a tour of Har Herzl, the national military cemetery, with our Dean, Dr. David Bernstein. I expected it to be packed, but by the time we got there in the late afternoon, the crowd was manageable. Dr. Bernstein, a historian, led us through the memorials to those killed in famous incidents like the fight for Jerusalem in 1948 and the victims of the Dakar submarine disaster in 1968. Most noteworthy about these early memorials were how everyone’s marker, regardless of rank or age, is exactly the same, and the wide diversity of places from which soldiers came to eventually die as Israelis. When we came to the newer portions of the cemetery, Dr. Bernstein’s son, Shai took over. Under Shai, the tour ceased being about history. He said that for him, as is doubtlessly true for most other native Israelis, visiting Har Herzl is like getting together with old friends. Stopping at certain grave sites, he told us stories of people he knew—former chevrutas, friends, mentors, who were killed in combat, who died as heroes. As he pointed out, by every right, we should have been there until at least 10 at night, hearing stories of those who died, not only his friends, but of all the thousands of people buried there, but you can only do, can only take, so much. While I didn’t personally know anyone buried at Har Herzl while they were alive, I came away startled by the small degree of separation between myself and some of the people buried there—after getting to know his family, seeing the grave of Alex Singer was like visiting the grave of a friend. A few people at Pardes had connections to Michael Levin buried close by. Ro’i Kiein used to be Shai’s chevruta. I remembered hearing about the Mercaz HaRav attack back in 2008, but today it became personal. What would I have done in that situation? Of course you can’t really know until you find yourself in that circumstance, but the uneasy feeling lingered in my gut the rest of the afternoon. When I left Har Herzl, I will admit that, above all else, I felt guilt. It seemed nearly everyone buried at Har Herzl is my age or younger. While I was in college worrying about not knowing how to end a short story or whether my analysis of the first season of House was any good, other Jews my age no better than I, some of them Americans, were putting their lives on the line for the Jewish People. I pictured myself in Israel and in America sitting in class, shopping, hanging out with friends, or even just going for a walk, over the bodies of other Jews my age who died, or at least potentially could have, for me to be able to live my daily life without fear and present danger. At the risk of sounding irrelevant, I’ll even admit that towards the end of the Har Herzl tour, the song “Freedom Isn’t Free” from Team America – World Police, unwittingly came into my head. In the movie, of course, the song is a joke, but in my head the refrain, “Freedom isn’t free/No, there’s a hefty [censored] fee/And if you don’t throw in your buck o’five, who will?” was deadly serious. Not that I had any thoughts of suddenly joining the IDF—a scrawny liberal-arts major like me wouldn’t survive the first five minutes of boot camp—but learning how that person in that grave who was at most my age died in some tremendously heroic act of self-sacrifice, really got me asking myself some difficult questions. On the bus ride home, after my friend Sam got off, I heard the bus door close on something. I turned towards the back door to see him standing on one leg, his other leg jammed between the closing bus doors to prevent them from closing. I saw he didn’t leave anything on the bus, and couldn’t figure out what he was doing. Once it looked like the bus driver hadn’t noticed him, he tried elbowing the door open, and eventually got the driver’s attention to open it the rest of the way, and as it did, a tiny old lady in a walker came on board. At that point, I was completely sure of one thing—that I would not have done that. Thank God I was never in the Army. When I got home, I laid down to rest for a bit and checked my emails. At around sunset, I walked to Shira Hadasha for Yom HaAtzma’ut services. I was running late and arrived to a very different night: The packed house was singing and dancing like on Purim, borrowed a few sad melodies from Yom Kippur, sang songs of national triumph like on Hanukah, of joy like on Sukkot, did Hallel at night like on Passover, and had musical instruments in shul like on no other time of year. And this was all in the first five minutes after my arrival. It was immediately clear that Yom HaAtzma’ut in Israel would be like nothing I’ve ever seen before. Following services, I met some friends and we went for shwarma and beer, then we bentched to the tune of HaTikva, drawing stares from Israelis, went back to my friends’ apartment to drink while watching Matisyahu videos, took a bus to Yafo Street downtown to find it overflowing with Jews of all shapes, sizes, and colors, plus girls with blinking lights coming out of their heads, drinking, singing, dancing, bopping each other over the head with large inflatable hammers and bats festooned with Stars of David, bumped into a bunch of people from school and took pictures with them,went to Kikar Safra for Israeli dancing, met more people, held hands and span and span and twirled and clapped and jumped and ran in circles to dances I didn’t know, but it didn’t matter because I could still spin and join hands and run and kick to the Hebrew music in fast circles with the thousand others in the square, said goodbye, wandered back to Yafo Street where I got hit in the head by a flagpole floating in a rallying march of right-wing yeshiva students, ducked out of the way of another train, found my friends in a coffee shop, said goodnight to them because I was so tired, then walked home and went to sleep. The next morning, I woke up too late for services, but still made it in plenty of time to join lots of friends for a barbecue on the Taylelet overlooking the Old City and East Jerusalem. There, we spent most of the rest of the holiday chilling, eating, and just being as free Jews under the scorching Middle-Eastern sun, though I preferred to spent most of the time in the shade.